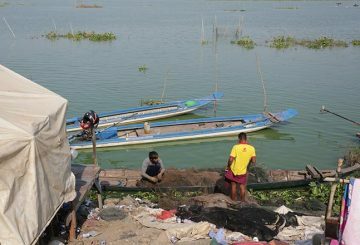 The government is going ahead with its plans to revamp part of Phnom Penh’s largest water reservoir into a vegetable market, despite complaints from villagers, fishermen and vegetable vendors that the market would be counterproductive to their livelihoods. 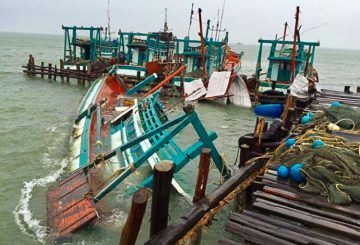 The Ministry of Water Resources informs fishermen, and coastal travelers and soldiers, to be wary of incoming storms. 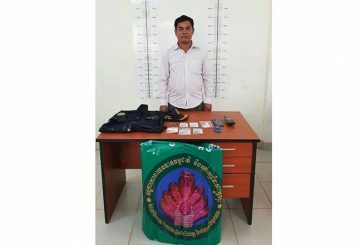 Kampong Cham Authorities raid an illegal fishing, educating four fishermen and releasing their catch back into the river. 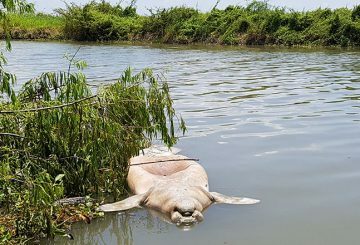 Researchers are struggling to explain the deaths of dozens of manatees in Mexico. 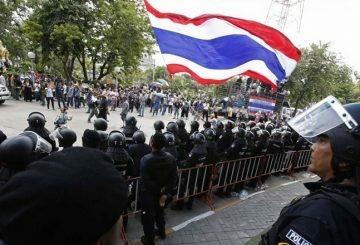 Court charges a local newspaper publisher who posed as a military brigadier general. 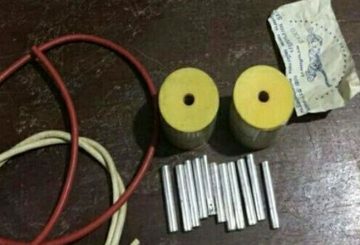 Pailin police are investigating the possibility of a planned election-related attack after 11 homemade bombs were found. 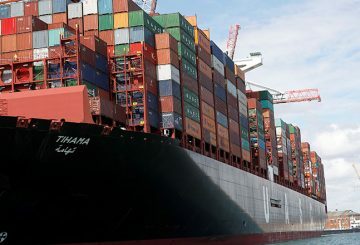 An economic solution for the South China Sea conflict? 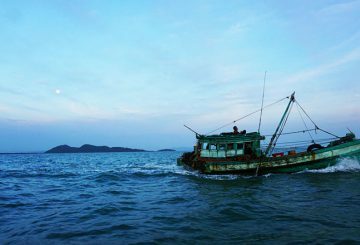 The ongoing South China Sea (SCS) conflict is nerve-racking. More than a dozen decrepit dogs splash into the Arabian Sea as the small wooden boat approaches. 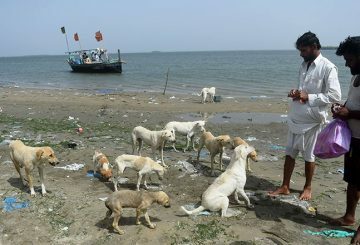 They know the fishermen’s mission: bringing food and water for the canine population of one of Karachi’s “dog islands”. 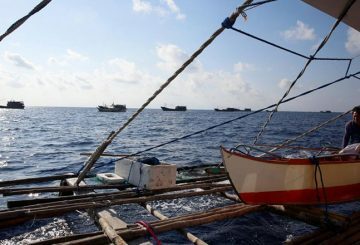 A demand to stop Chinese coast guards from taking the catch of Filipino fishermen. 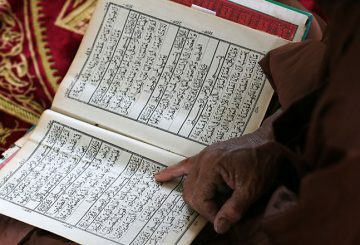 Muslim fishermen form new community alongside their Buddhist compatriots, writes Ven Rathavong. 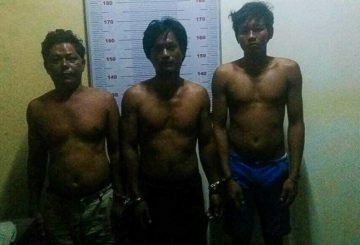 Thai court sentences five Cambodians to 50 years for a violent attack on French tourists. 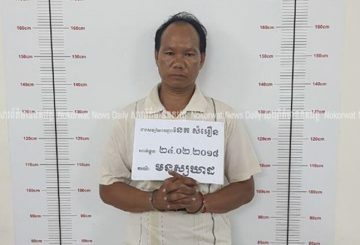 Military Police arrest a man over the murder of his brother, whose body was found tangled in fishing nets in Stung Hav. 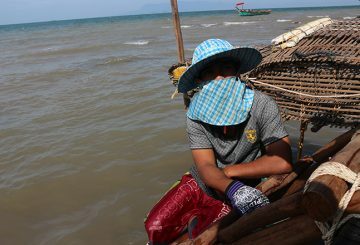 Cambodian migrant fishermen in Thailand are still subject to forced labour. As the lunch hour inches closer and the sun gets brighter, Kep’s small-yet-bustling Psar Kdam (crab market) is filling up fast. 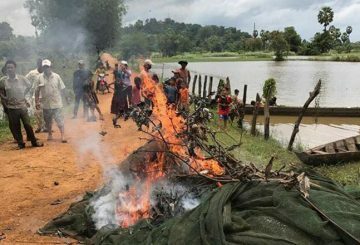 The bodies of Cambodians killed in a fishing boat crash in Thailand are repatriated to their home province. 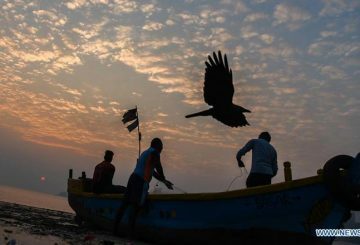 The Ministry of Water Resources and Meteorology has called for all fishermen to temporarily suspend their activities in order to remain safe. 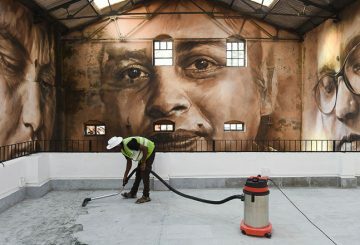 Thirty artists from around the world have given the bustling Sassoon Dock, home to Mumbai’s traditional Koli fishing community, a colourful makeover as part of the St+art Urban Art Festival. 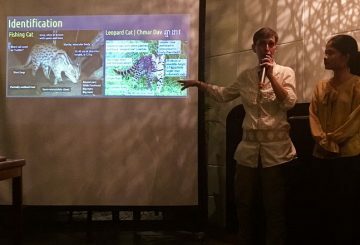 The cat, which is listed as ‘vulnerable’ on the International Union for Conservation of Nature’s Red List of Threatened Species, is in danger of turning into a creature of the past. 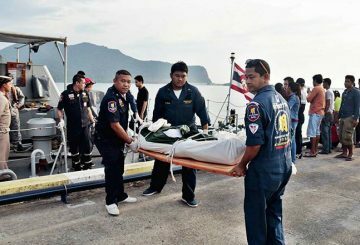 Three fishermen charged with murdering a 26-year-old fellow worker in a drunken argument. 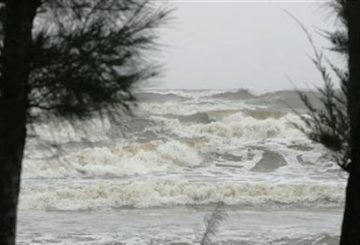 The group of fishermen disappeared during heavy storms in Tomnob Rolok. 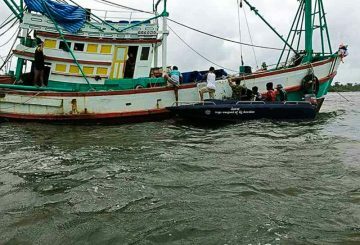 Five fishermen were rescued by the Cambodian Navy after their boat capsized during a storm. 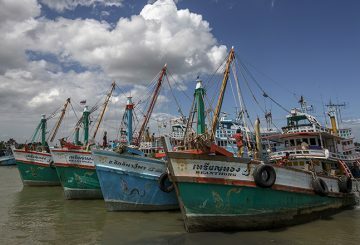 Cambodian embassy in Malaysia repatriated 14 Cambodian fishermen who fled Thai boat and are believed to be human trafficking victims. 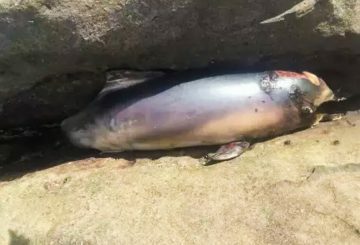 A dolphin was discovered dead by tourists on the shore of Koh Pos yesterday in Preah Sihanouk province, with local officials saying it likely was caught in fishing nets.